Welcome back meal planners and happy Monday! I can't believe there are only three weeks left in the year! What a great year it's been! Let's give ourselves a pat ont he back for getting dinner on the table more nights than we didn't, right? 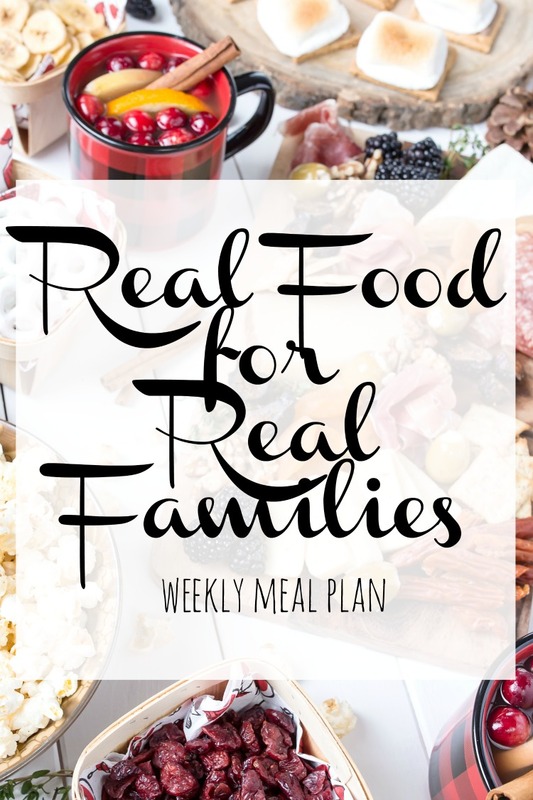 My plan is to continue with weekly meal plan posts here on the blog in 2018. I will probably skip the week of Christmas, as we barely get our of our pajamas that week, and eat all sorts of junk and stuff! But I will have posts up on Monday the 18th and even Monday the 1st, so I hope you will check them out. If you have any suggestions for the upcoming year, I'd love to hear them! While this post is to maintain my own sanity, it's also for you. So if there is a way to help it serve you better, I'm all ears! I also plan to create more lifestyle-centered content on the blog again. So keep your eye out for posts about wellness, parenting, fashion and life in general - all written to help you solve a problem, or improve your own processes just a little. Is there something specific you'd like me to write about? Leave a comment or tag me on the Facebook Page. My email is also up there in the upper right corner. I love to hear from readers! Monday - Dad's on Dinner Duty - so probably leftovers! Wednesday - Quick Dinner before afterschool activities. Friday - Mom and Dad have a party, so Pizza Night for the kiddos! Saturday - Annual Family Cookie Baking Day - dinner with grandparents! I need to start making a weekly meal plan!